Pan de muerto (pahn deh mwer-toh) = Bread of the dead. This bread only comes around around Day of the Dead (September-October), but it’s definitely worth a try. 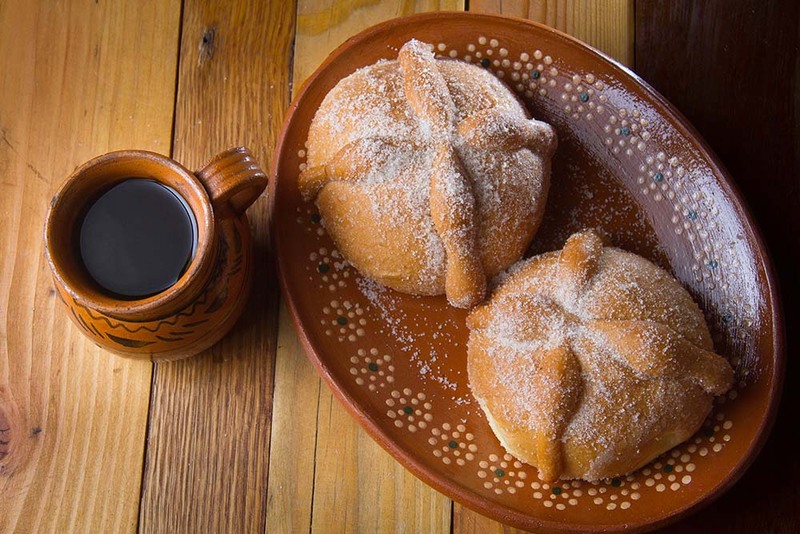 Pan de muerto is a citrusy-flavored bread usually covered in strips of dough on top that some say symbolize the bones of those who have passed. Concha rosa (kon-chah rroh-sah) = Pink shell. A dome of sweet bread covered in pink crystallized sugar squares resembling a shell. Oreja (or-eh-hah) = Ear. 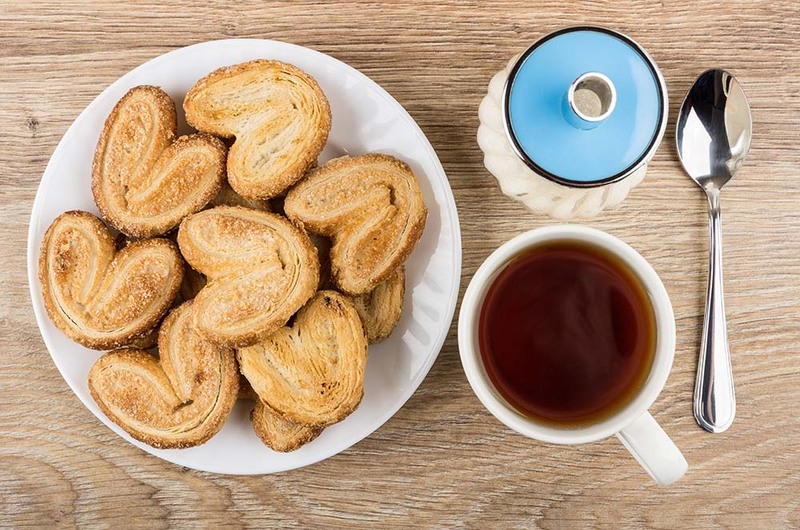 The Mexican version of the French palmier, made from puff pastry, cinnamon, and sugar. Cuernitos (kwair-nee-tohs) = Horns. Horn shaped dense bread with a pink stripe in the middle and covered in sugar. Empanada de piña (ehm-pah-nah-dah deh peen-ya) = Pineapple turnover. Empanada pastries are triangle-shaped turnovers that can filled with pineapple, apple, guava, or sweet cream. Cono (ko-no) = Cone. Buttery bread wrapped in a cone shape typically filled with cream. Mantecadas (mhn-teh-kah-dahs) = Butter muffins. Just like the name says, these beauties are liffle muffins made with lots and lots of delicious butter. Galleta Grajea (gah-yeh-tah grah-heh-ah) = Sprinkle cookie. A hard, crumbly cookie covered in sprinkles. Galleta de Tres Colores (gah-yeh-tah deh tres ko-lo-res) = 3-colored cookie. A hard, crumbly vanilla cookie made with 3 different colors of food-coloring. Usually brown, pink, and one other color. Puerco / Cochinito (pwair-kee-toh / ko-chee-nee-toh) = Little piggy. A hard cinnamon-flavored cookie in the shape of a pig. Delicious with a glass of milk!